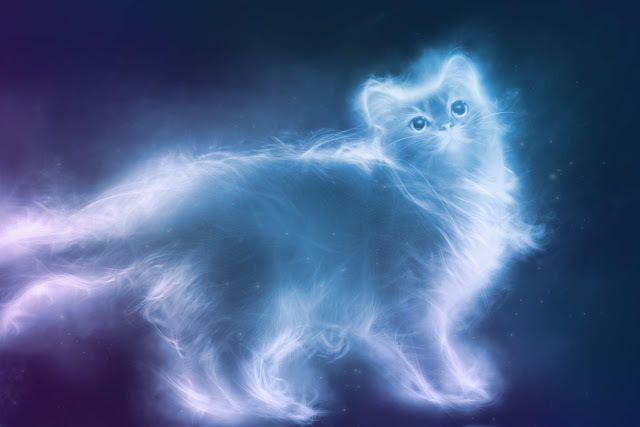 The ability that cats have, for example, to be able to see that particular phenomenon that consists of the orbs, balls of energy appearing in photographs taken with digital cameras or with more sensitive film, is easily demonstrated and verifiable. Indeed, there are several photos showing the cat observing with curiosity and interest in the direction of the Orbs spheres, invisible to man. This particular sensitivity would allow cats to see objects and phenomena that the human senses, not particularly developed, cannot perceive. Cats appear to possess a range of specific skills, such as empathy. Who owns a cat, has certainly experienced the phenomenon whereby when you’re not well, our friend somehow “feels” it and tries to transmit energy to the diseased part. A stomach ache, an intestinal disorder … that’s where our cat curls up on, giving us a warmth and a feeling of incredible well-being. No coincidence that today we are using this empathy for the famous Pet Therapy, which successfully cures various ailments also psychic. It is not the only power available to our four-legged wonder: unique among animals, the cat tries to sleep on the so-called Hartmann Nodes, like those particular intersections of the Earth’s magnetic field lines, which envelop the entire planet in regular intervals. If a man stayed long over one of these nodes, would have a feeling of fatigue: but for a cat, it seems to relax over these nodes avoided by all other animals. Why? Because this perception of magnetism is known in many animals, such as migratory birds. But the cat does more, it is as if it was in connection with the Dark Energy that permeates the entire Universe. On the one hand, you consider the cat as an evolved, intelligent and sensitive, perhaps even more than the man on an emotional level. For this reason, it is necessary to treat it in an ever respectful behavior, however, that you should keep with all living beings. And to observe its nuances and learn to perceive the subtle worlds, invisible dimensions that surround us.